Reliable manufacturers of washing machines offer high-performance, low-maintenance washing machines with adjustable temperature, speed and wash-cycle settings. According to the Federal Trade Commission (FTC), using a front-loading washing machine with a large washing capacity and adjustable settings may also help you conserve energy and lower your utility bills. Whirlpool, Bosch and Maytag are three of the most reliable brands of washing machines that meet these specifications. 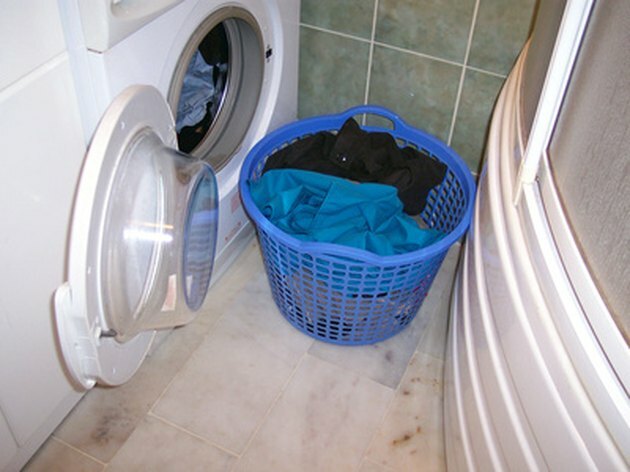 Front-loading washing machines are usually more energy-efficient than top-loading washing machines. Whirlpool manufactures reliable, energy-efficient washing machines with large washing-capacities, adjustable settings and durable parts. Whirlpool washing machines feature durable parts, including stainless steel wash-baskets, flexible tubing, and fill-hoses with five-year usage expectancies. New whirlpool washing machines also include one-year limited warranties that offer to replace or repair faulty parts resulting from defects in materials or craftsmanship. Bosch offers energy-efficient washing machines engineered for high-performance with custom washing options, including an Allergy Rinse wash-cycle that removes all traces of laundry detergents. Many Bosch washing machines feature Bosch's "Good Housekeeping Seal," which includes a two-year limited warranty for the product. In 2009, Bosch voluntarily recalled certain Bosch home appliances manufactured between May 1999 and July 2005, according to Bosch's website. Bosch offered to repair all affected products free of charge, and has announced that this voluntary recall helps to show consumers that Bosch is a brand committed to high standards of quality and customer safety for all of their products. Maytag is a company committed to manufacturing home appliances with durable and long-lasting parts, according to Maytag's website. Maytag's front-loading and top-loading washing machines feature advanced laundry-washing technology, including Maytag's Advanced Vibration Control Plus for silent washing, 16-hour Dynamic Venting to prevent mildew and foul-odors and Delay Start options for convenient washing without constant supervision. Maytag washing machines include a 10-year limited-parts warranty to provide customers with confidence that Maytag is a reliable brand that manufactures appliances that are designed to endure many years of usage. Austin Everage has been writing computer- and business-related articles since 2007. His work has been published on various instructional format websites. He is a communications marketing expert for a corporation involved with several blood donor centers. Everage is pursuing a bachelor's degree in human-resource management from Ashford University.